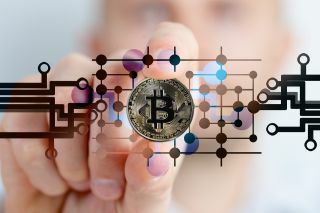 Blockchain will see mainstream adoption by banks and other businesses next year as cryptocurrencies continue to gain traction amongst consumers. As the value of just one Bitcoin crosses the $10,000 milestone for the very first time, cryptocurrencies – and the blockchain technology that underpins them – could finally be about to enter the mainstream, despite having been created eight years ago. 2017 was no doubt a hugely important year for cryptocurrencies (digital assets such as Bitcoin and Ethereum) but the boom is yet to come. 2018 will be the year when institutional money is leveraged at scale to support and further their development. In turn, this will open up a vast array of investment opportunities, perhaps even foreshadowing the emergence of a phenomenon akin to Wall Street. While this remains to be seen, the sudden surge of cryptocurrencies into the limelight means that we will undoubtedly see an increase in the wider application of blockchain technology. While this year marked a period of heightened speculation and theorisation, in 2018 we will start to see many of these ideas materialising. In just the past 12 months, the cryptocurrency space has experienced considerable growth. Nothing signifies this clearer than the recent news that the total market value of all the Bitcoins in existence reached the $167 billion mark on 29 November. But growth has occurred in many different forms. Venezuela, for instance, decided to substitute the dollar with Bitcoin because of its famed stability. Meanwhile, perhaps more importantly for the global future of cryptocurrencies, CME Group, the world’s leading and most diverse derivatives marketplace, announced the planned launch of Bitcoin futures in December. What this market first means is that larger, more traditional investors will be able to trade on derivatives, further accelerating Bitcoin’s strength as a financial tool. Bitcoin might be just one part of a much larger whole, but it is the largest cryptocurrency today. CME Group’s plans therefore suggest a major moment for investment in cryptocurrencies. As digital currencies like Bitcoin push up prices, it will inevitably encourage their wider adoption via more traditional bodies. Furthermore, the recent news that Cash app, which is owned by mobile payment company Square, has enabled the buying and selling of Bitcoin between users signifies that Bitcoin is indeed becoming attractive to the everyday investor. Surely this takes us one step closer to Bitcoin Wall Street? And while markets are being whipped into a frenzy, increasingly excited by the idea of making this formerly clandestine currency available to all, what does it all mean for your average Joe? Already entire countries and governments are exploring and democratising cryptocurrencies for their people. Similarly to Venezuela, China’s central bank, the People’s Bank of China, is already testing a prototype cryptocurrency. In Europe, the Netherlands has created its own internal cryptocurrency7 with the purpose of examining how the technology might work in practice, while the Russian Ministry of Health unveiled an Ethereum-based blockchain pilot programm for a new interagency data-sharing system. It might not be long before the likes of Bitcoin and Ethereum enter households around the world at scale. In 2018, blockchain technology will become less of a speculative investment, with blockchain credit cards becoming more common; banks increasingly supporting and utilising the technology, and more Initial Coin Offering (ICO) funding mechanisms appearing. With ICOs currently not being government-regulated, the increasing number of fundraising mechanisms are creating a new financial subculture. This essentially enables a new funding model that does not have an established roadmap for growth. The typically conventional world of finance will be slowly but steadily revolutionised by this interesting process. But blockchain technology applications will go beyond the finance sector, expanding into supply chain management, bond trading and asset insurance. Hyperledger, for example, is an open source collaborative project that is advancing blockchain ledger technology and making it available to the public, providing intrigue and opportunity for a variety of global sectors. Further afield, the realm of property, hospitality, music and retail are also dabbling in blockchain-powered currencies. For example, the platform CryptoBnB matches homeowners with the right temporary tenants, using blockchain technology, artificial intelligence (AI) and big data. Music industry artist incubator Boogie Shack Music Group is planning to launch unique cryptocurrencies for music artists. Also, due to an increasing number of high-end store customers demanding to use cryptocurrencies for payments, many retailers are starting to set up Bitcoin trading accounts. Only time will tell whether disruptive ventures like these will end up revolutionising global industries or not. In the meantime, what everyone can agree on is that it is hard to ignore the breadth of blockchain’s applications. Last but not least, blockchain favours small businesses through permitting the creation of smart contracts, implemented by decentralised owners of small businesses. By reducing operational costs by eliminating middlemen such as lawyers and insurers, the technology can drastically ease business processes. This creates a fairer environment for start-ups and smaller businesses, empowering them to compete with larger corporates, which can ultimately benefit economies. Once the hobby of developers and technology harbingers, 2017 saw cryptocurrencies and blockchain technology rocket up through global markets and countries, promising us big things in 2018. Most excitingly, new opportunities aren’t confined to big businesses. Start-ups, SMEs and the general public are all set to benefit. Going forward, considering the scale at which blockchain, this once entirely novel manner of sharing, storing and authenticating information, has grown, it is vital for all businesses to at least start exploring it – otherwise they risk being left in the dark.